Previous military general Abe Purugganan paid tribute to the unsung saints of Philippine majority rule government and uncovered who is the genuine foe of the Filipino individuals. Abe Purugganan is a veteran warrior. He is a PMA graduate. He is a resigned general who has put in over 20 long stretches of administration battling extremists in Mindanao. He is a staunch supporter of the Duterte organization not in light of governmental issues, but rather on the grounds that they share similar estimations, they need to free the nation of oligarchs, the socialist, and the yellows who keep on destroying our nation today. In his latest post in his Facebook page, Abe Purugganan described how the AFP contended energetically to forestall socialism in the nation. He thought back how they struggled with the dissidents in all edges of the nation. He paid tribute to the officers and troopers who relinquished their lives safeguarding the Philippines from socialism and secessionism. Purugganan emphasized that they battled nobly not in view of governmental issues. They just make them thing as a top priority when they're on the war zone, and that is to safeguard the nation they cherish from the individuals who need to decimate it. They made extraordinary penances for their fellowmen. His spell in Intelligence gave him the knowledge on who the genuine foe of the republic is. He said that it was miserable to surmise that the foes amid his occasions were the simple same adversaries we are confronting today. 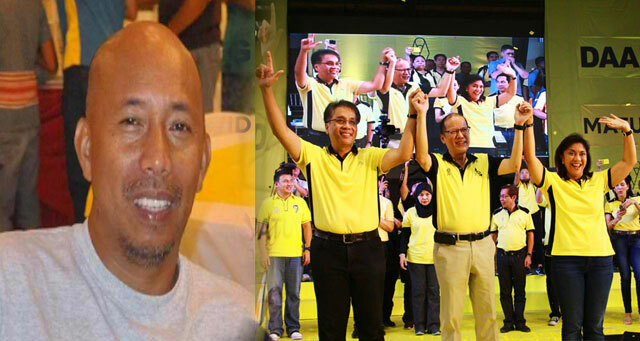 The nonconformists, the yellows, and the oligarchs. These are similar individuals who wished to wreck the nation at that point, are as yet endeavoring to destroy the nation today. I was a junior officer of the Philippine Army during the martial law years. I have enough knowledge and understanding of who were our enemies. Thru those years the Army spent much of its effort clearing provinces that were influenced and controlled by secessionist and communist rebels. It was a period of uncertainty with the secessionist movement and the communist insurgency threatening the whole nation. And the AFP had its hands full fighting in almost all corners of the country to prevent communism and secessionism to succeed. Martial law was then adopted as a political-military solution that the state badly needed to save the country from the secessionists who threatened Mindanao and the communists who threatened almost all communities of the country. In my stints in the intelligence community, I came to learn more of the enemies of the state and our national security situation. I came to know the real enemies of the Filipino people. 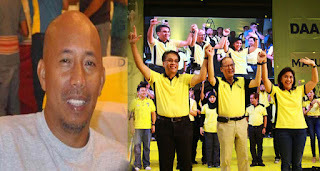 Unfortunately for us, they are still the same group of people - the yellows, liberals, communists, and the oligarchs, who continue to pester, destroy, and exploit our country today. For decades they have managed to fool our people and they still believed that they can. For most of us who were assigned in the field during those days, nothing was political, it was all accomplishing our missions to defend the republic against those who wanted to destroy it. For us, it was hard work and extreme sacrifices rendered for the sake of our people. And many of our soldiers, officers and men died and maimed during the martial law defending the country from communism and secessionism. Today, I salute them. I pay tribute to them. May their gallantry and sacrifices for the nation be remembered and never to be forgotten. And so with the many unsung heroes from the civilian sector who gave their lives in helping and supporting the counter insurgency of the government.